Weekly Specials this week from Diamondback, American Tactical, Beretta, S&W, Taurus, Kel-Tec, Sig, and this EAA MKA 1923SA. 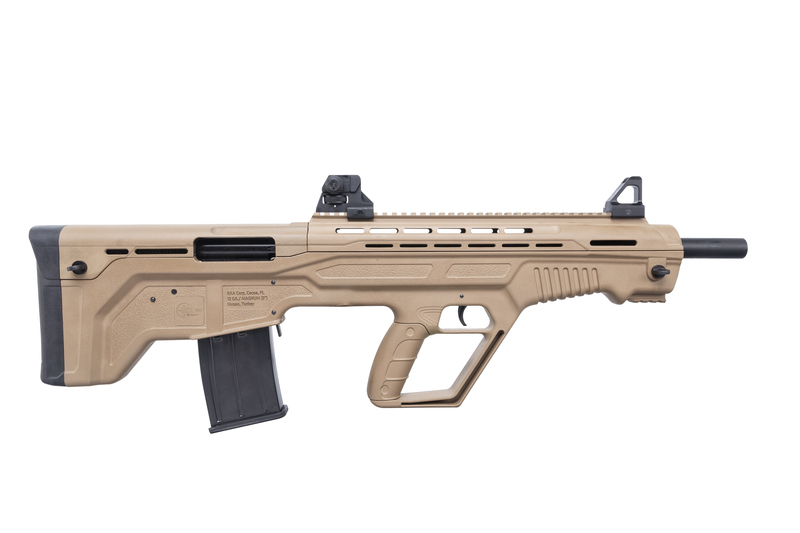 The MKA 1923 combines the speed and maneuverability of a traditional bullpup with the stopping power of the quintessential shotgun. Its overall design is compact, but it can definitely pack a punch. Making this compact beast the perfect tool for home protection, 3 gun competition or even just fun on the range. The MKA 1923 comes with removeable picatinny rail mounted front and rear sights, sling swivel studs, 2 five round capacity magazines, and three choke tubes (Full, Mod, IC). This semi-auto shotgun has an overall length of just 29.5 inches and weighs 8.2lbs. Exclusively available from Davidson's in Davidson's Dark Earth Cerakote finish.